Demolition engineering, reinforcement and restoration used to be noisy and indiscreet, but greater complexity sometimes requires executing monumental work without anyone realising it is being done, as in cases when it is necessary to preserve a façade or a neighbouring activity. 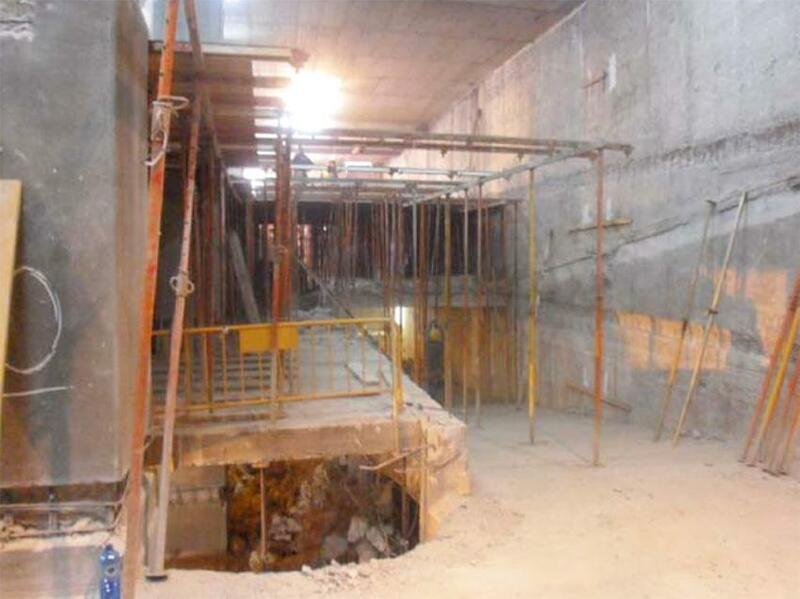 Interior demolition work, underpinning and restoration of the emblematic FNAC building on Castellana, in the centre of Madrid, was a challenge. With its nine storeys and four basement levels, any integral demolition would have reduced the number of storeys allowed in a future licence for constructing a new building. 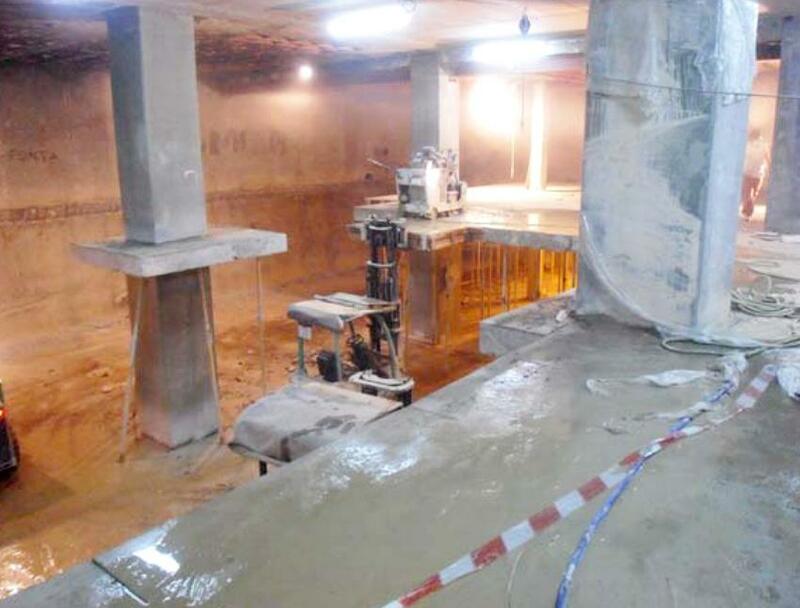 The work on the 2,000 square metres of basements was even more complicated, due to the proximity of a tunnel made by the public corporation Adif -Spain’s Railway Infrastructure Administration- and the foundations of large neighbouring buildings. The underpinning was a painstaking job that required the placement of almost 10,000 props just in the basements in order to guarantee the safety of the building as well as the personnel. It was necessary to create an immense temporary structure of galleries with modular beams to facilitate the access of machinery and the removal of thousands of tons of rubble. 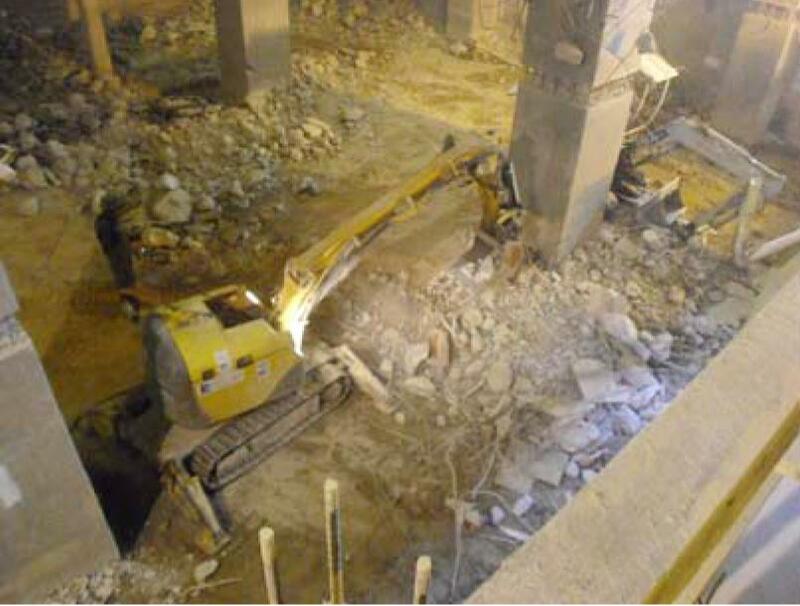 Robots carried out most of the demolition of the decks, but in some cases manual intervention of workers was necessary. The formwork and reinforcing had the added difficulty that it required the building of stairs and ramps for the movement of cars in the large underground car park. To guarantee long life of the new structure, the concrete slab was joined to the retaining walls around the building. It was a tremendous amount of work that had to comply with demanding deadlines –meeting project deadlines has been one of the non-technical characteristics most highly valued by Prosistemas’ clients for decades – all reconciled with the highest safety: There was not a single work leave due to an accident or injury during all the construction work. 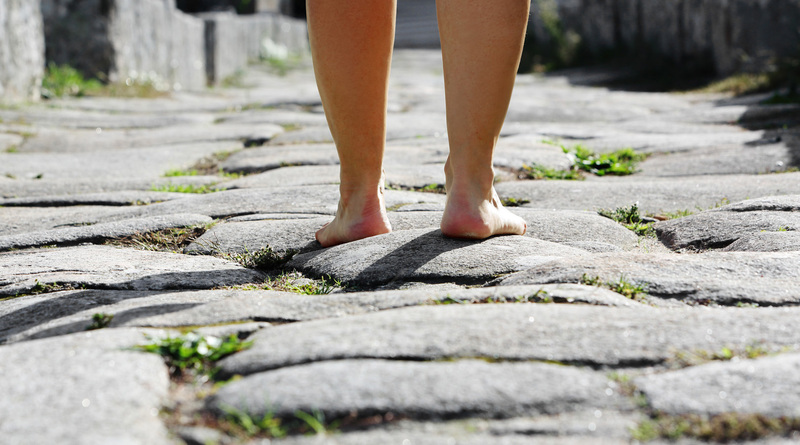 A total amount of 24,000 square metres of new floor-structures were laid and 1,300 cubic metres of concrete were used for reinforcing footings and walls in the basements. The upper floors of the building occupy 1,500 square metres. Altogether, the work required more than 23,000 square metres of new floor-structures and more than a kilometre of reinforced steel pillars (Over 235 tons of steel).